Attack of the Steampunks! Look out! A few days ago, I was enjoying some hearty ales and was inspired to pen my free-associating thoughts to paper. Although I don't consider myself much of a performer, I decided to do a little audio experimentation. My final equation: Steam + Cogs + Rap = Scrap! This will be a true test of the genre. If steampunk can survive rap music, then it is indeed here to stay. I do believe we have an anthem..... now we need the flag and we can declare independence. I propose a brown flag with a golden clock gear embroidered on it, if we're to be stereotypical. If we are not to be so...I suppose the options are limitless. Sir, I must humbly request a collaborative effort between the two of us. This is quite an excellent track. A sidenote: I understand that the term "rapper" was once used among Usanian railwaymen to refer to a steam locomotive driver witth a reputation for driving his engine (and often also his fireman) to the limits of its capability. Perhaps that's something with which the lyricists can play? Though I must admit that partway through I found myself remebering the Pepermint Nasty Eels rap from The Mighty Boosh. Normally, I would spell "rap" with the initial letter "C."
However, I think I could be persuaded to listen to this one again. Repeatedly, even. Wow, right on you guys, thank you very much! Your positive feedback has given me the courage to put the song up elsewhere...something I'm normally too shy to do. I'm really glad that you enjoy the track. It's a pretty loose take. The levels are a bit wonky and the vocals need to be tightened up. It needs some audio engineering polish. Honestly, I don't usually do rap either...but I was kind of fuming at all the garbage floating around the pond of late about steampunk being dead, or humbug or douchebag...so I wanted to write something aggressive that reaffirmed my commitment to the aesthetic. To hell with those faceless fool keyboard commandos. Steampunk is fubu. I pulled a switcheroo, replacing the first posted mp3 (that I did in a dorky character voice) with the vocals from a dry run, so don't be surprised if someone who's heard the other version replies with "What the hell are you guys talking about!? That was the stupidest thing I've ever heard!" After hearing that other version with sober ears, it was certainly the stupidest thing I'd ever heard. I guess it's better to just be myself. Yo Tankukisan...yeah! We should collaborate! I'm practically your neighbor, after all. I normally play bass and percussion. I have Acid (I think V.3), Cubase and soundforge...plus two decent mics, and a 2-channel tascam digital recorder. I was thinking of hooking the tascam to my laptop and recording some industrial beats played directly on the iron pipes at the gasworks sometime. Could be a whole new approach (albeit an old technique). Professor Auerbach, that is simply brilliant! Well done, Sir, well done! I can just picture a group of Steampunks taking over the dance floor at the local club and doing the Charleston to your rap. Thrilling! Live life, be happy, drink Pimm's! I do Victorian themed rap all the time, we should form some sort of coalition of Steam'd rappers and release an album! I love the little ragtime refrain. BaronPablo wrote: I do Victorian themed rap all the time, we should form some sort of coalition of Steam'd rappers and release an album! It seems we're growing in number quickly. It's like Isla Nublar in the SteamRap game! Industrially sporting of you guy! One feels that these tunes are hopping. Keep up the good work wont you? I want a copy to play to my friends from such sources as a phone or an MP3 player. Would it be possible for you to creat a source for the download? Can I have lyrics so I can rap this to confuse those around me, while spreading the word of the upcoming steam revolution? Honestly, I've never downloaded a song to my phone from the internet...I just bluetooth mp3s directly from my laptop. If you have any suggestions for sites that host mp3s for downloading to phones, I'll be happy to upload it for you. Why am I here pontificating on the audio phone? Thanks! I managed to get most of that, but that is really helpful. I normally am fervently against rap...but this is brilliant. 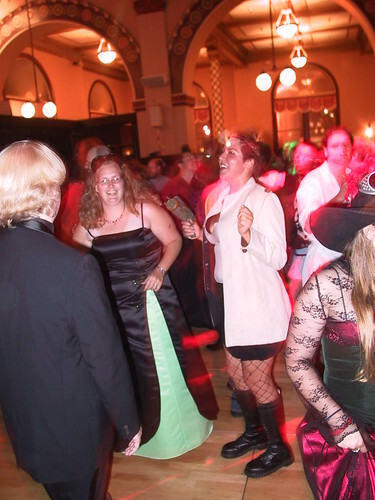 EDIT: It took me a while to find it after I imported it – it shows up as "Steamrap" by Guy G.
Mrs. Sullivan wrote: PI can just picture a group of Steampunks taking over the dance floor at the local club and doing the Charleston to your rap. Thrilling! For some reason my college computers let my download music straight from most internet based players. So i now have a copy to play to my friends, which i have done, and you have been complimented greatly for your lyrical prowes, and also i think for the music mixing. Prof Auerbach, when my finance-raising-atron is completed, you're down to receive the funding to create the video to compliment this (directed by Moog, perhaps?). In the meantime, please accept this OBE for Services for the Cause. "Our brains are hyperactive clever concept generators"
My favourite line. Besides the chorus. And the verses. Hell, it's all my favourite.